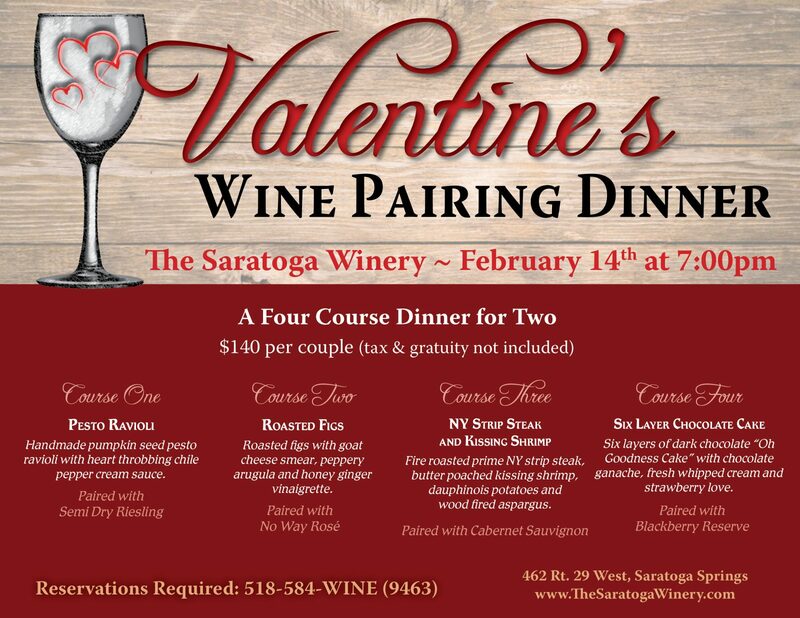 A romantic, 4 course Wine Pairing Dinner for you and your sweetheart! An experience like no other. Enjoy four delicious courses, each paired with one of our handcrafted wines.